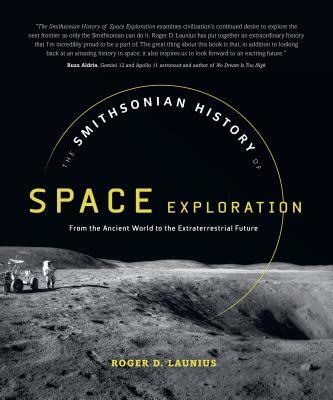 The Smithsonian History of Space Exploration is a comprehensive history of international space exploration paired with photographs, illustrations, graphics, and sidebars on key scientific and technological developments, influential figures, and pioneering spacecraft. Former NASA and Smithsonian space curator and historian Roger D. Launius presents human's endeavors to understand the universe, honoring millennia of human curiosity, ingenuity, and achievement. The book examines space exploration's origins in the pioneering work undertaken by the ancients of Greece, Rome, and China, and moves through the great discoveries of Renaissance thinkers including Copernicus, Galileo, and Kepler. It offers new insight into well-known moments such as the launch of Sputnik 1 and the Apollo Moon landing and explores the unexpected events and hidden figures of space history. Presenting the technological and mechanical breakthroughs enabling humans to explore far beyond our own planet in recent decades, it also speculates on the future of space exploration, including space tourism and our possible future as an extraterrestrial species. This is a must-read for space buffs and everyone intrigued by the history and future of scientific discovery. ROGER D. LAUNIUS is former associate director of collections and curatorial affairs at the Smithsonian National Air and Space Museum. From 1990 to 2002, he served as chief historian of NASA. He has authored and coauthored numerous books, including Hubble's Legacy.